Opioid use has been the focus of a great deal of national attention recently, with good reason. According to the National Behavioral Council, Americans consume 80% of the opioid prescriptions given worldwide. On average 44 people die per day in the United States from overdoses on pain killers according to the Centers for Disease Control and Prevention. As a result, America is now in an opioid crisis. There is a growing numbers of individuals dying daily from overdose as well as increased criminal activity and increased HIV/AIDS rates. Opioids have been prescribed in the United States to help individuals who are experiencing pain. These medications are effective at blocking the pain and providing relief. This is done by impacting the “reward pathway” which allows the person using the opioid to experience pleasure and an overall state of well-being. When used repeatedly over large periods of time, however, the person can build a tolerance to the medication which does not allow them to experience the same levels of well-being that they experienced before. This results in individuals taking more and more of the medication to get the same desired results. So how does this result in an opioid crisis? When individuals need more and more medication to reach desired amounts of relief, they will use medication faster than prescribed. This can result in individuals seeking alternatives ways of getting pain medicine as their bodies have become dependent. The Substance Abuse and Mental Health Services Administration (SAMHSA) reported that over half of individuals who abused pain killers received them for free or from a relative. Once these individuals are no longer willing or able to provide this medication individuals often turn to other methods for achieving the same effects such as buying medication illegally or beginning the use of heroin which is also an opioid. Once individuals begin using illegal methods to maintain an opioid dependence they are then at higher risks for HIV and AIDS as well as incarceration, separation from family, and loss of employment. Opioid Treatment Programs (OTPs) are working to tackle the opioid crisis. Opioid treatment programs provide individuals with medication such as methadone, buprenorphine, and naltrexone to help them discontinue the use of illicit substances. Methadone activates the same parts of the brain other opioids do. Buprenorphine activates the same parts of the brain but without the rewarding effects. Naltrexone blocks the part of the brain that opioids activate and removes rewarding effects. Research shows that methadone and buprenorphine, when prescribed by a physician and closely monitored, are the most effective treatment methods for opioid use disorder. Methadone is considered the “gold standard” of treatment especially for pregnant woman who are addicted to opioids. This along with behavioral health services such as individual and group counseling help individuals gain the skills needed to maintain success in their lives. Western Indiana Recovery Services is privileged to bring these services to Vigo County with the integrated approach to recovery to help individuals reach their potential. Through medication assisted treatment and behavioral health services we are working to help individuals able to maintain success within the program and for many, regain life – job, family, school, etc. Recovery is possible and appropriate treatment works. Western Indiana Recovery Services, Vigo County’s first certified opioid treatment program, is located at 88 Wabash Court, Terre Haute, IN. The Clinic provides comprehensive opioid treatment including medication (methadone) coupled with individual and group therapy and other behavioral health services as needed. The clinic is open now from 6:00 a.m. – 12:30 p.m. Monday through Friday and 7:00 a.m. – 10:00 a.m. weekends and holidays. Patients can make an appointment by calling (812) 231-8484 or (833) 232-0215. Beginning May 28, walk-ins will be welcome. Patients will be assessed for specific admission criteria to the program. 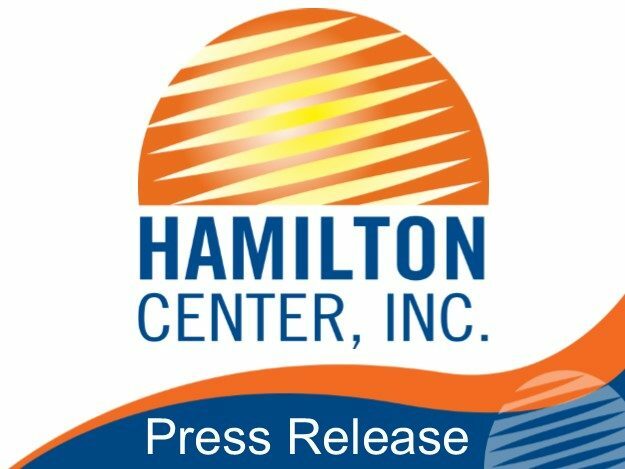 This program is one of several addiction programs of Hamilton Center Inc.